The newest addition to St. Louis which offers 100,000 sq. feet of dining, bars and nightlife. Located in the heart of downtown St. Louis, Scottrade Center is one of the finest sports and entertainment complexes in the country, with state-of-the-art facilities and equipment and an unprecedented commitment to quality and service. Scottrade Center officially opened on Saturday, October 8, 1994. Scottrade Center is a contemporary, 12-story glass and concrete structure located in the heart of downtown St. Louis. The home of the St. Louis Blues Hockey Club, Scottrade Center also features a full range of arena programming, including concerts, ice shows, family shows and other sporting events. Scottrade Center plays host to approximately 175 events per year, bringing nearly 2 million guests to downtown St. Louis annually and ranking it among the top arenas in the country. The top of the Gateway Arch is just one of the amazing sights to see while at the Gateway Arch Riverfront. Other activities, from browsing the Museum of Westward Expansion, to viewing the latest exhibits at the Historic Old Courthouse, to watching a giant-screen movie in our state-of-the-art theater, to taking a sightseeing cruise are all just a few steps away. Saint Louis University is a Catholic, Jesuit university ranked among the top research institutions in the nation. The University fosters the intellectual and character development of more than 13,000 students. Founded in 1818, it is the oldest university west of the Mississippi and the second oldest Jesuit university in the United States. Through teaching, research, health care and community service, Saint Louis University has provided one-of-a-kind education, leadership and service for nearly two centuries. On April 10, 2006, the Cardinals opened their new 46,000 seat retro-style downtown ballpark with a 6-4 win over the Milwaukee Brewers. The Cardinals also became the first team in almost 100 years to win a World Series Championship in the inaugural season of a new ballpark. The new Busch Stadium hosted the 80th MLB All-Star Game, in July 2009. The Saint Louis Zoo is in Forest Park in St. Louis, Missouri. It is recognized as a leading zoo in animal management, research, conservation, and education. Admission is free through a public subsidy from the ZMD, although there are fees for some attractions. One special feature is the Zooline Railroad, a small passenger train that encircles the zoo, stopping at the more popular attractions. The 1904 St. Louis World's Fair is credited for the birth of the St. Louis Zoo. The Fair brought the world's attention to St. Louis and Forest Park. The Smithsonian Institution constructed a walk-through bird cage for the World's Fair. Ten days after the World's Fair closed, the citizens of St. Louis chose to buy the 1904 World's Fair Flight Cage for $3,500, rather than have it dismantled and returned to Washington, D.C. The St. Louis Zoo was born. The Dome is an integral part of the America's Center complex. "No longer need residents of St. Louis look beyond their own city for the finest entertainment." This statement was coined by the William Fox Circuit of Theatres in 1929 for the opening of their newest, most exotic temple of amusement, and it still holds true! The Fabulous Fox offers a dazzling array of talent and entertainment twelve months a year. 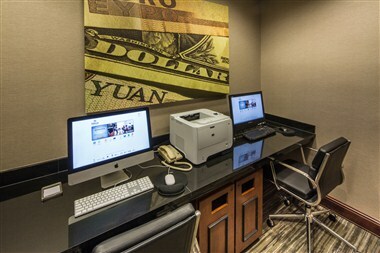 The Hilton St. Louis Downtown at the Arch hotel boasts an ideal location in the heart of St. Louis and offers easy access to a range of nearby attractions. 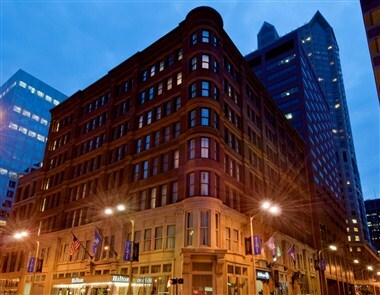 Built in 1889 as the Merchant Laclède National Bank, this Hilton St. Louis Downtown hotel offers historic charm with a modern twist. 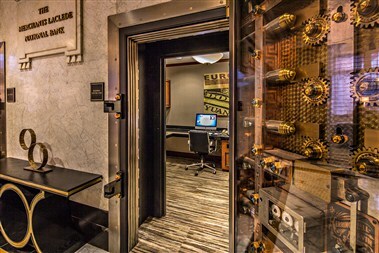 The hotel still boasts the original bank vaults in the lobby. 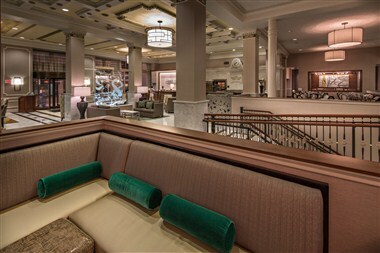 Enjoy comfort and elegance combined with a convenient location at this historic St Louis, Missouri hotel. 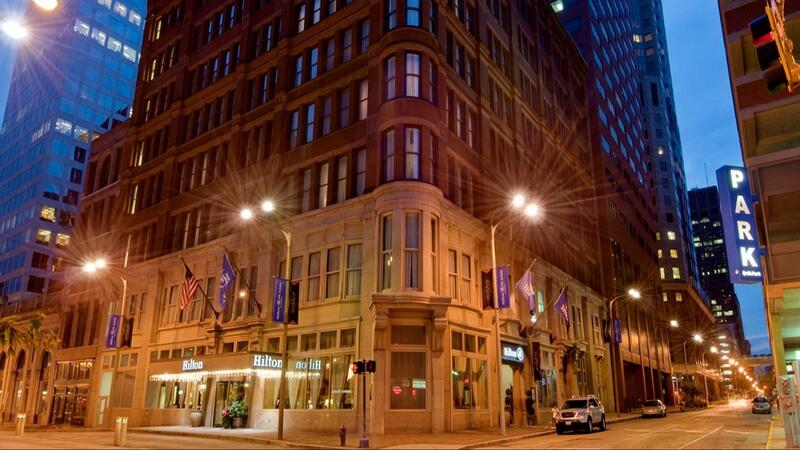 Indulge in traditional favorites and contemporary cuisine at the Hilton St. Louis Downtown at the Arch hotel’s award-winning restaurant, 400 Olive Restaurant. Enjoy a relaxed lunch or unwind with an evening drink at 400 Olive Bar, offering an extensive wine list, hand-crafted cocktails and local craft beers. 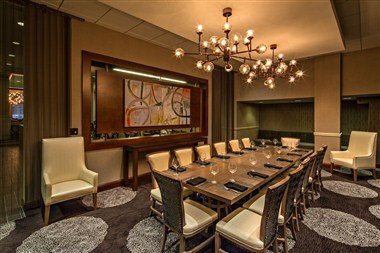 Host a meeting or special occasion in one of the hotel’s seven meeting rooms or Laclède's Ballroom, named after Pierre Laclède, founder of the settlement of St. Louis. Keep fit in the hotel’s fully equipped fitness center, refresh in the oversized whirlpool or simply retire to a comfortable and sophisticated guest room offering wired and wireless high-speed internet access and room service. Multi-million renovation completed in May of 2014 to include guest rooms, restaurant, lounge, meeting space and lobby.